Kenneth Rogoff is Thomas D. Cabot Professor of Public Policy and Professor of Economics at Harvard University. From 2001-2003, Rogoff served as Chief Economist and Director of Research at the International Monetary Fund. Rogoff’s treatise Foundations of International Macroeconomics (joint with Maurice Obstfeld) is the standard graduate text in the field worldwide, and his monthly syndicated column on global economic issues is published regularly in over 50 countries. His recent academic book with Carmen Reinhart, This Time Is Different: Eight Centuries of Financial Folly (Princeton University Press), builds on a massive new data set covering 66 countries and 800 years. The book (a New York Times, Amazon, and international bestseller) shows the remarkable quantitative similarities across time and countries in both the run-up to, and the aftermath of, severe financial crises. Rogoff is also known for his early research on central bank independence and inflation targeting as an institutional device for enhancing the credibility of monetary policy. 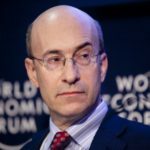 Rogoff is an elected member of the National Academy of Sciences and the American Academy of Arts and Sciences, as well as the Council on Foreign Relations and the Group of Thirty. He has been invited to give numerous named campus-wide research lectures at universities around the world, and also speaks widely on global economic issues. He is 2011 winner of the biennial Deutsche Bank Prize awarded by the Center for Financial Economics. Rogoff is on the Economic Advisory Panel of the Federal Reserve Bank of New York. He holds the life title of international grandmaster of chess.